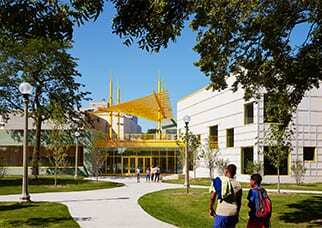 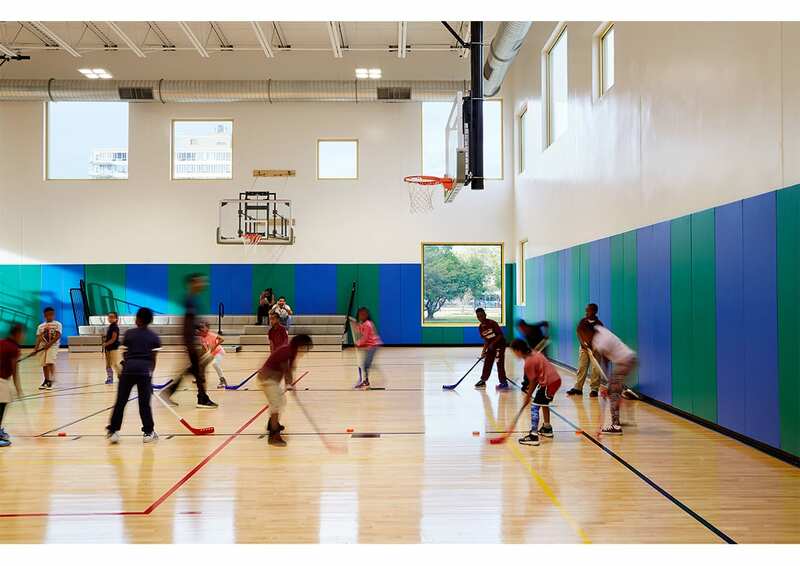 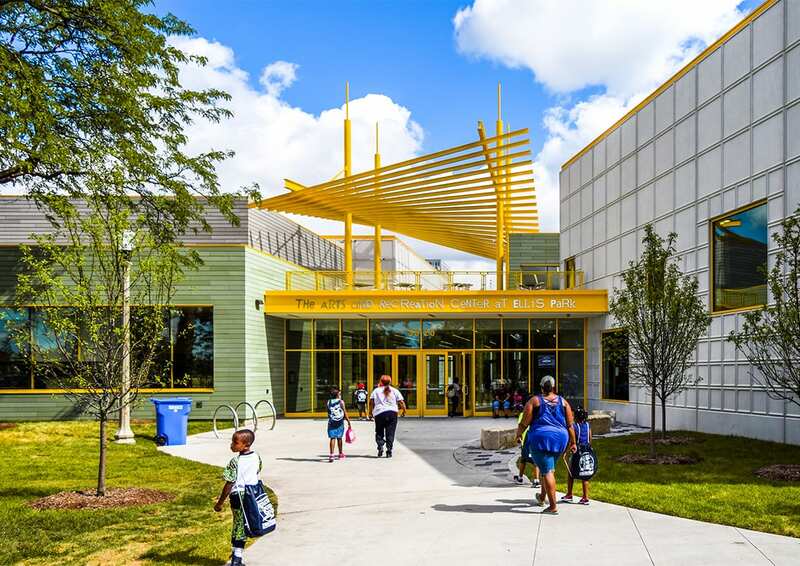 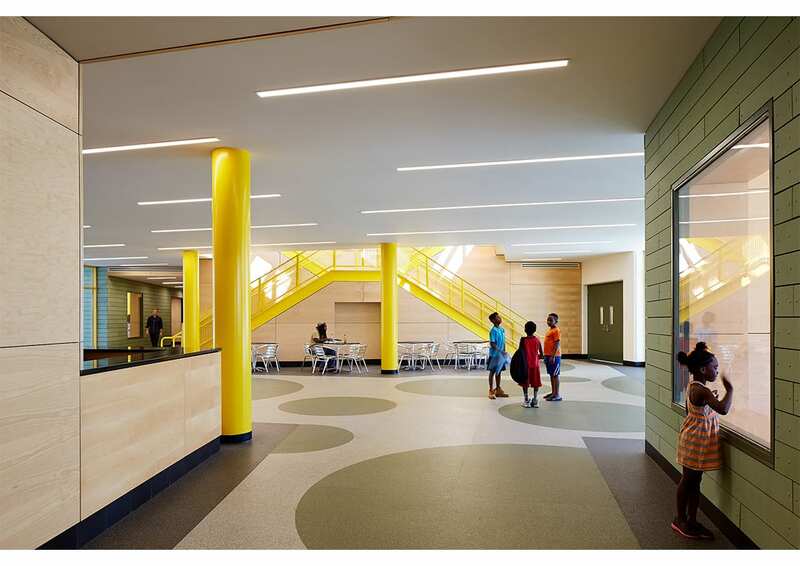 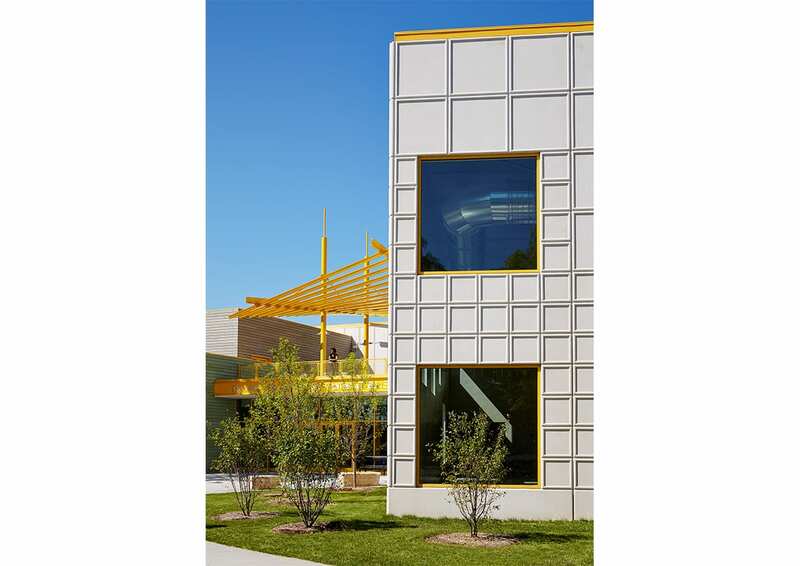 The Arts and Recreation Center located in Chicago’s South Side was designed to respond to its context. 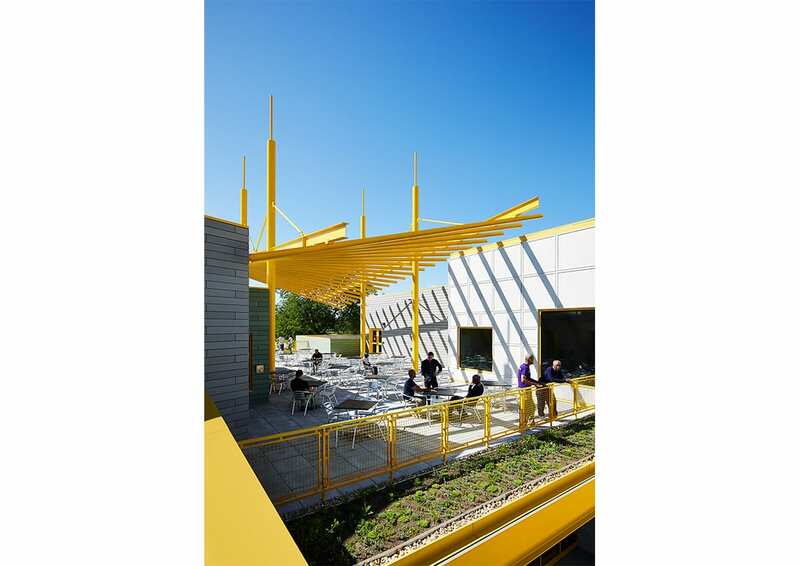 Sited at the north terminus of Ellis Park, the structure is on axis with South Vincennes Avenue, which directly connects the residential areas to the north and south. 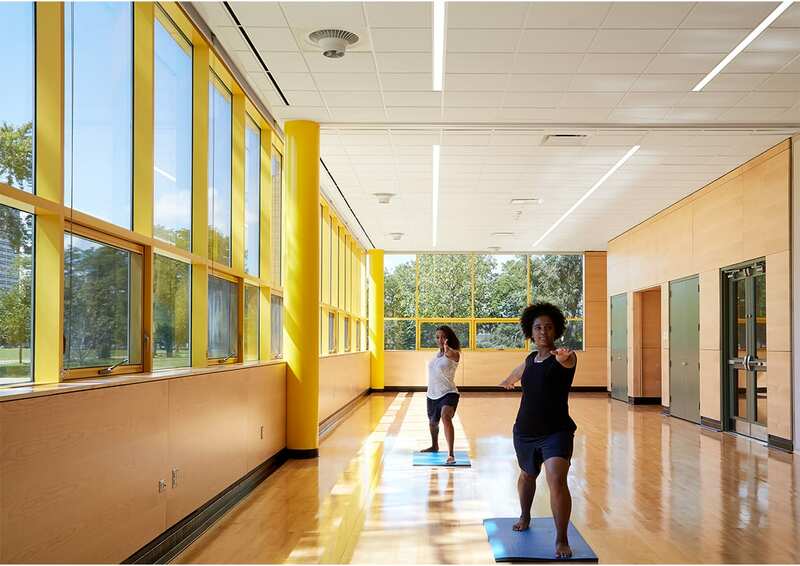 Embodying a healthy, comfortable, and cultural environment, the Center plays a critical role in nurturing a community that is recovering from years of neglect. 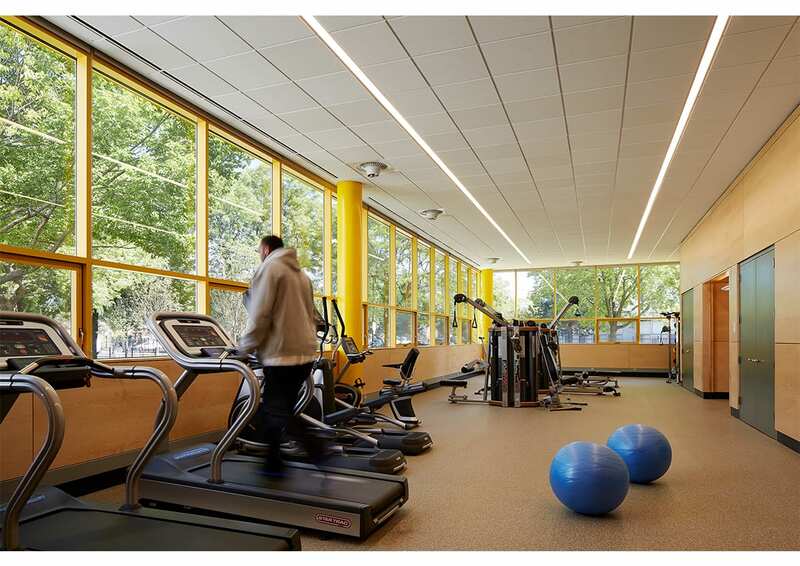 Arranged around a central lobby and oriented to respond to adjacent streets, multi-colored volumes containing the gymnasium, swimming pool, fitness room, club rooms and support spaces are located so that all functions are visible from a single control point, requiring less staff while promoting safety and security. 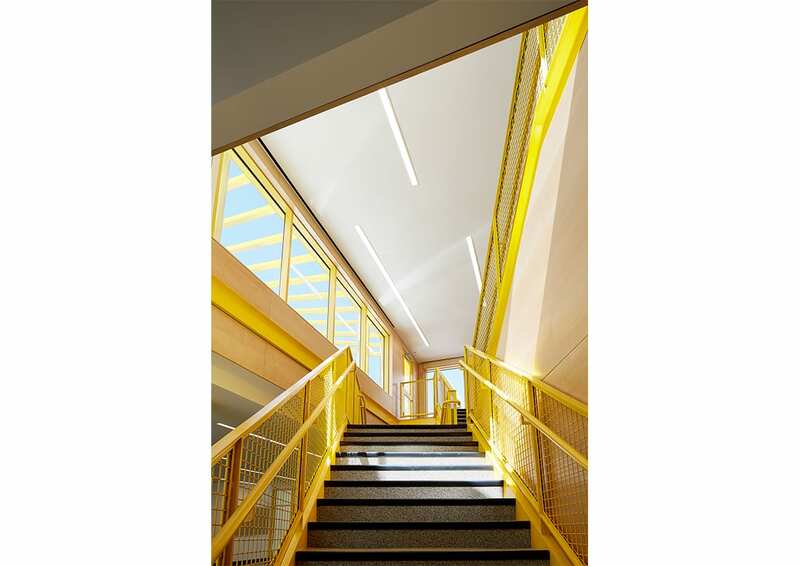 The building’s design emphasizes openness, natural light and positive energy. 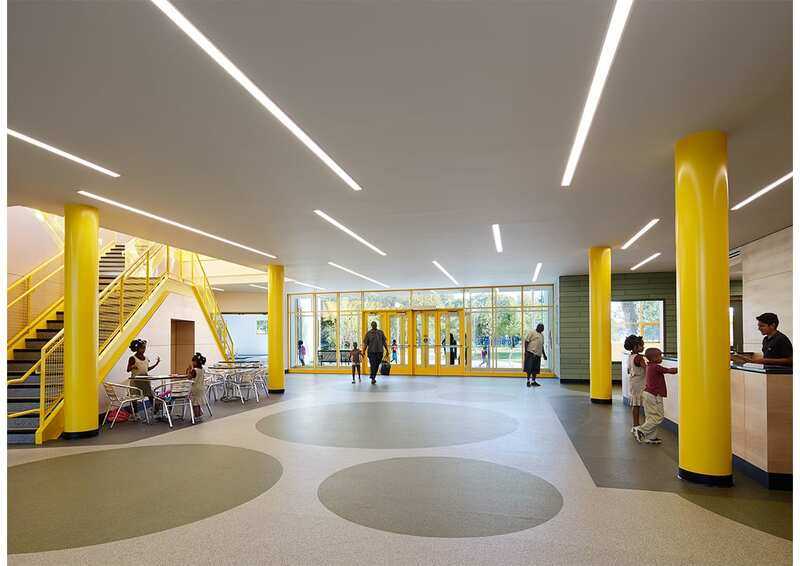 Interior spaces are visually connected both horizontally and vertically. 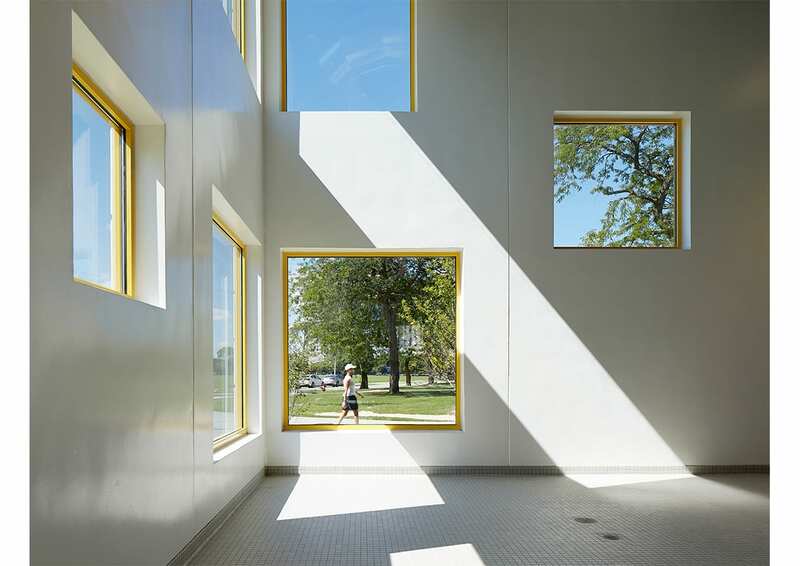 Large windows, arranged in a playful pattern, provide abundant natural light and views that engage the users with the neighborhood. 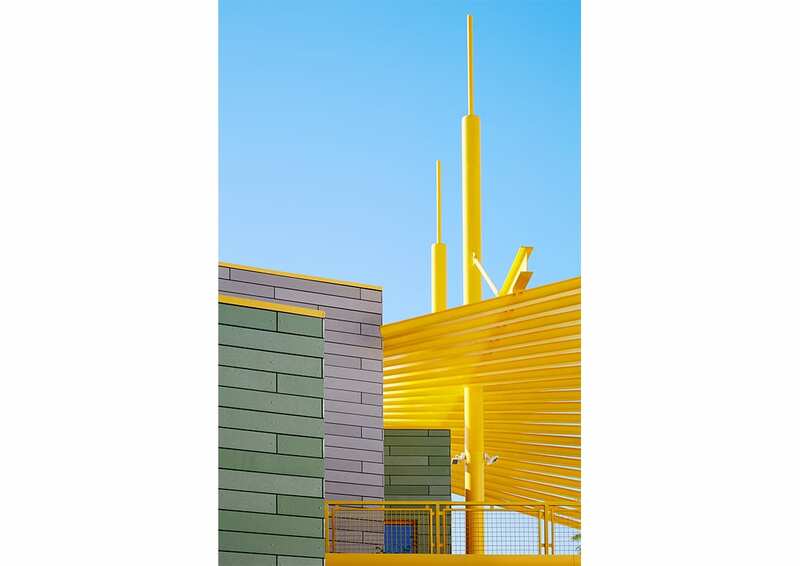 Vibrant colors reflect the energy and excitement of the activity within. 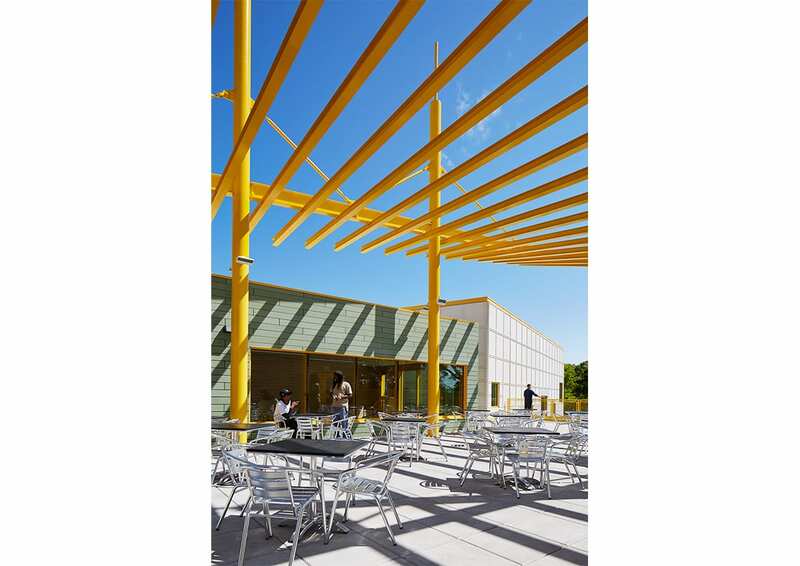 A roof deck covered by a sculptural trellis provides both an outdoor gathering space with views of the park and a positive symbol for the community. 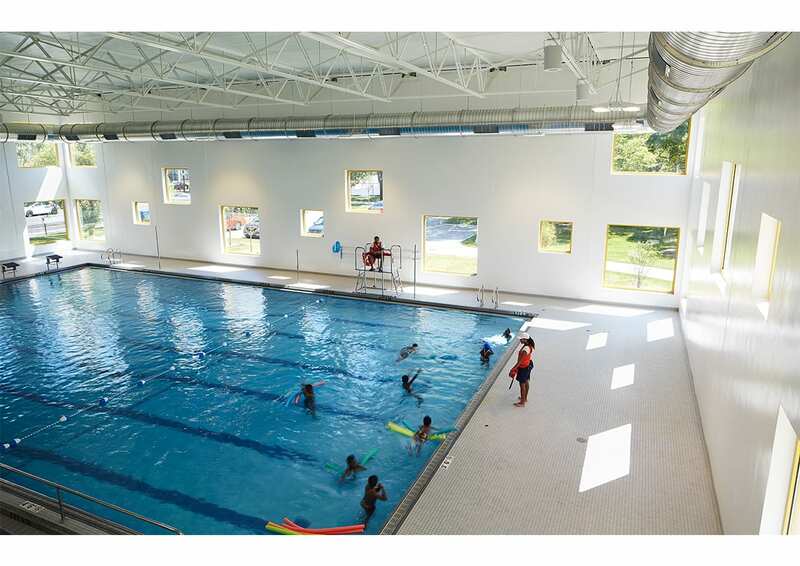 The Center serves area residents of all ages, providing individual exercise, team sports, dance, swimming, arts instruction, family activities and senior citizen clubs. 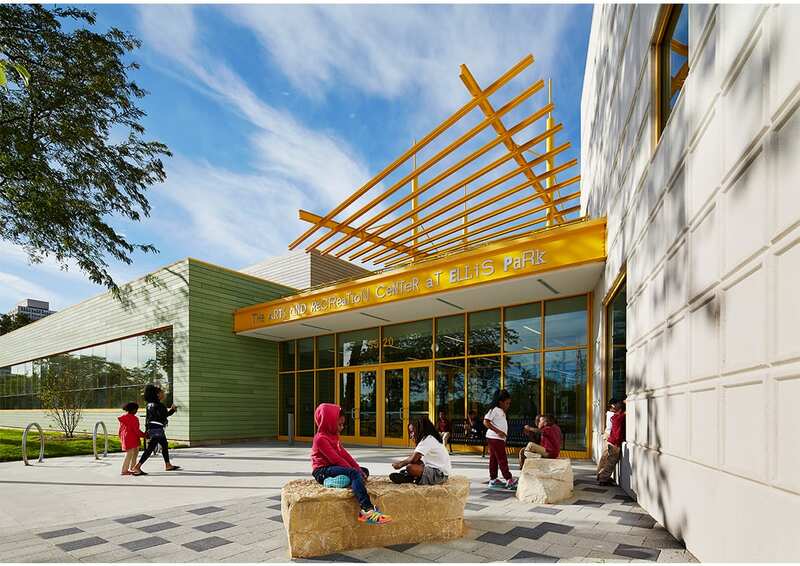 Judging by the high community usage, this dynamic and welcoming environment has contributed significantly to the revitalization of the neighborhood it serves.